Beretta is an Italian gun manufacturer and is known around the world for their quality firearms and dates back nearly 500 years. 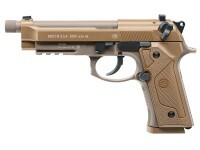 Beretta air guns follow the same formula for quality, performance and dependability as their real firearm counterparts. 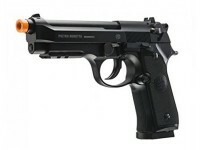 Experience the legendary performance and craftsmanship of Beretta with these air pistols, air rifles and air soft guns. Many of the Beretta air pistols offered here feature all metal construction with accurate weight, dimension and detail as Beretta firearms. 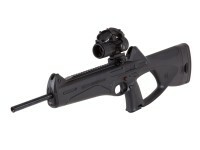 If you're a fan of Beretta and looking to get a Beretta C02 gun or airsoft gun look no further than these Beretta pellet guns. 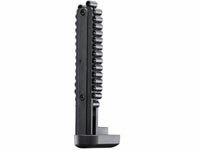 In addition to Beretta air guns we offer Beretta accessories such as extra magazines, accessory/scope mounts, sights and more.